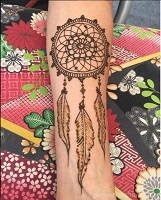 Learn about the history and culture of henna body art! This hands-on class will provide you with the space and tools to create your own intricate henna designs. Registration required.